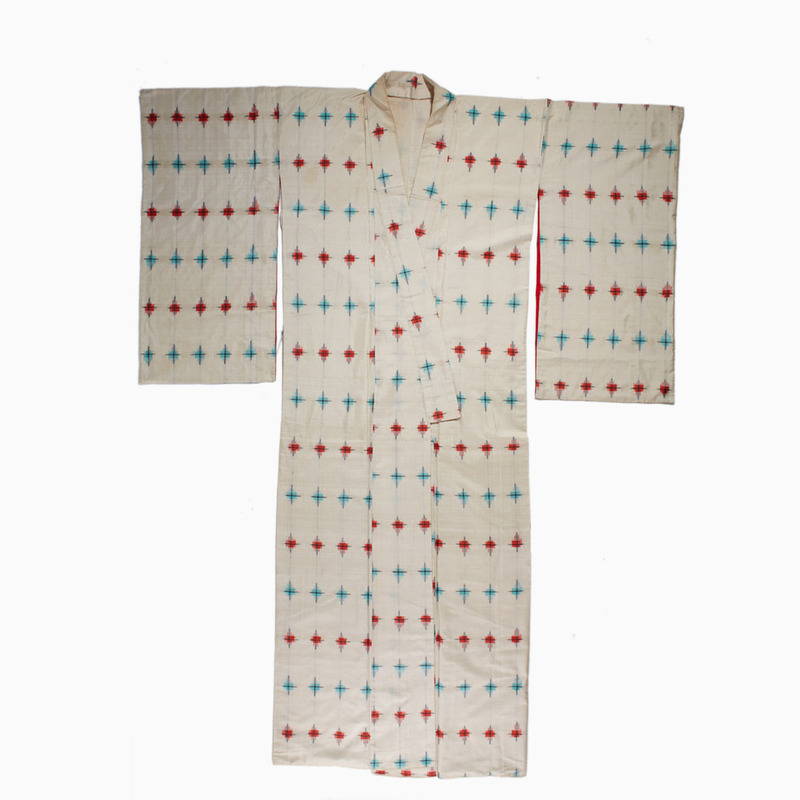 This white silk kimono with its cheerful pops of red and turquoise manages to be elegant and fun at the same time. 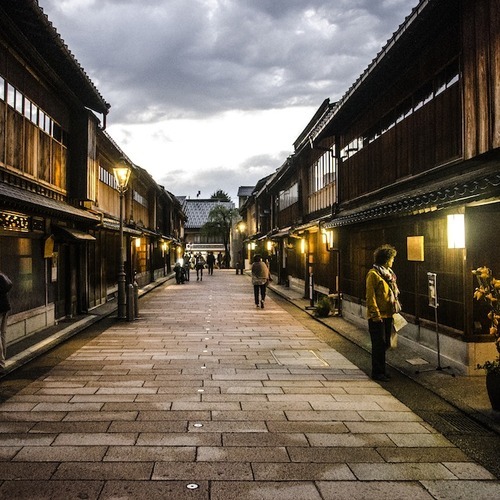 Purchased in the city of Kaga, just about a half-hour’s drive from Kanazawa, it’s named after Mineko Iwasaki, one of the most famous geishas of all time. Sleeve to sleeve: 45", Length: 62"
Silk, lined in beige cotton, very good condition. This is a vintage piece and could be worn or displayed on a wall.